This week, we caught up with Bristol Ivy, designer of fashion forward garments and accessories that we can’t wait to knit! Check out all of her fabulous patterns by clicking here. Hello Bristol, thanks for taking some time to chat with us. Tell us a bit about yourself – what makes a knitwear designer tick? Hi guys! Thank you so much for having me! My name is Bristol Ivy, and I’m a knitting designer from Portland, Maine. 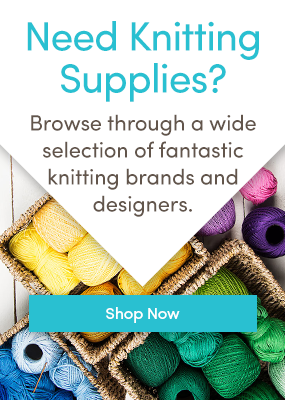 I’ve been lucky enough to work in different parts of the knitting industry since 2007, and started publishing designs in 2010. It’s all been downhill since then! It’s funny; there were two that I was working on at nearly the same time. In 2009 to 2010, I spent nine months traveling around New Zealand and working on sheep and fiber farms and facilities through WWOOF, a work-trade organization. I did a lot of knitting there in my spare time, and much of it was inspired by the gorgeous landscape around me. The Christchurch Shawl, which I self-published (and which is currently waiting on some revamps before it’s available to the public again—no one needs to see how bad I was at the beginning of this! ), was my first attempt at designing lace. I designed it to mimic the foliage from the Christchurch Botanical Gardens when I visited there. I definitely got some weird looks at the hostels and on the bus as I swatched, ripped, scribbled in my notebook, and swatched some more, but it was a great learning process and I’m still really proud of the result. At the same time, a friend had turned me on to knitting podcasts right before I left for my trip, and I was slowly catching up on back episodes of Cast On, with Brenda Dayne. One episode in particular caught my attention—Knitting Mash-Ups. She explained that, just as you could combine two songs together to form a music mash-up, you could do the same with knitting patterns. That was such an amazing concept to me! It really helped me feel like knitting was mine to do with what I wanted. As an experiment, I combined a traditional chevron with dropped stitches, and brought the idea back home with me. I knew Pam Allen of Quince & Co. from doing some sample knitting for her prior to my trip, so I gathered up my courage and brought her the idea after I got back. She said yes, and Bristol’s Cowl came out a few months after! I think this pattern and the Christchurch Shawl are very different in terms of final product, but are both pretty indicative of who I am as a designer. I like to hope that the lines and shapes are classic and tailored, but when you get closer you see that the constructions and the direction of knitting are a bit unconventional. I like starting garments from new spots: at the side seam, or at the center back, or at the back neck, for example. I also like finding that sweet spot between easy to wear, interesting to knit, and a bit boundary-expanding and educational. I want people to walk away after knitting one of my patterns feeling more confident and in control of their knitting because they now understand better that you can approach it from a lot of different directions—sometimes literally! Within this, I try to keep the fabric itself pretty clean; there’s never a lot of surface ornamentation on my patterns just because I don’t want it to ever feel overwhelming, either to knit or to wear. Sometimes when there’s a lot going on with the construction, it can just feel like too much to have a complex stitch pattern going as well! So I try to keep it pretty minimal to let the shaping shine through. That’s a tough one! A lot of the work that I’ve done with Brooklyn Tweed has been received really well; Svalbard, Thorn, and Winnowing have definitely struck a chord with knitters and I’m so thankful for that. For my self-published stuff, Stria, Newsom, and Wainwright are the most popular garments– they’re actually all kind of similar!–and the Earl Grey Mitts are my most popular accessory. I’ve actually worn out the thumbs on multiple pairs of Earl Grey Mitts at this point—I need to knit some more! Yes! 54 Rue du Chateau is a truly collaborative shawl project that launched a few months ago. The six designers involved—myself, Leila Raabe, Michele Wang, Olga Buraya-Kefelian, Mary-Heather Browne, and Amy Christoffers—each designed twenty rows of a traditional top-down shawl using yarn from A Verb for Keeping Warm. Once those were complete, we handed the shawl off to the next designer and, building on what we’d originally created, they added their own twenty rows. In this way each shawl traveled to each designer, and then traveled back to the original designer who added the final border. Each designer got to work on each shawl; we never followed the same designer twice and we never knit the same part of the shawl twice. It was definitely an amazing learning experience, but the best part about it was seeing all the shawls together at the end. Each shawl, even though it was knit by six different sets of hands, retains so much of the personality and style of the original designer that they all look completely different. It was such a cool experiment! Probably a good set of pointy-tipped metal circular needles. I tend to be a slightly tight knitter, so the metal needles are a must for me, and dull tips drive me crazy. Or I’m a total sucker for a good pair of small scissors—I can never have too many! I don’t get a lot of time to knit solely for myself—most of my knitting time is devoted to samples. But when I can, I love knitting sweaters and socks for myself. Not even anything complicated—I love plain Jane stockinette socks! I don’t think there’s much better than a cozy pair of handknit socks. Do you have any plans afoot – what’s next? I’ve got some great stuff coming down the pipeline, but I can’t talk about a lot of it! The big self-published project I’m working on for the fall is a collection of sweaters all based on the homey, comforting feel of baking bread. So neutral colors, cozy textures, comfy, wearable shapes, wooly yarns. I’m excited to get started! That is a super tough question—I’ve never thought about it before! My best guess is a wool/linen blend; a little bit of interest and difference with the unexpected feel of the linen, but in reality pretty much a big old squishy teddy bear! To see all of Bristol Ivy’s patterns, click here. To purchase the designs, click on the images; you will be taken to the page where you can add the pattern to your cart. You can then go through the checkout process as normal. Happy knitting! Love this site! my friend just introduced it to me when I asked her what pattern she was using for an adorable little-girl sweater. Thanks for this reminder of Bristol Ivy’s designs. I’m very drawn to the Newsom cardigan and have some Araucania yarn lined up! I’ve got a bit further down the road than Penny Tasker, that is to say I’ve started the Newsom cardigan. Although life seems to obstruct concentrated knitting on a daily basis, I am making progress, albeit episodic, especially as Summer hoves into view. I’m messianic about garments knitted in one piece without seams. Over the years, I have rarely knitted a garment with seams. When I find a design I like…with seams…I turn it on its head and knit it without seams. This gives me great pleasure and vicarious thrills. Be daring, do try it!